Maybe you’ve actually retweeted it, maybe not, but everyone wants to know: does anyone ever win those contests? To discover the answer to that question, I wrote a Python script that logs into twitter, searches for tweets that say something along the lines of “retweet to win!” and then retweets them. I’m not sure if anyone else has done this before, but I didn’t see any evidence of other bots that were behaving like mine. I did however see evidence of real people who were manually doing the job of my bot by retweeting hundreds of contests over several hours. My favorite thing that I won was a cowboy hat autographed by the stars of a Mexican soap opera that I had never heard of. I love it because it really embodies the totally random outcome of these contests. The most valuable thing I won was a trip to New York Fashion Week, which included a limo ride to the show if you lived in a state near New York for you and a friend, and $500 spending money each, and tickets to some of the shows. That had a retail value of $4000, but I didn’t claim it because 1) I don’t live near New York and 2) I didn’t want to pay the taxes on a $4000 prize. I ended up not claiming the majority of the things I won because I wasn’t able to use them or attend them. In those cases, I just messaged them back and told them to give the prize to someone else. And before you report me to the IRS, yes, I reported and paid taxes on all of the winnings I actually accepted/received. Most contests informed the winners by direct message, and a lot of people have an automatic direct message sent to you when you follow them (like the one above), so I had to spend a decent amount of time going though my DMs to find legit winner notifications. In a strange turn of events, I even encountered an example of someone offering MY autograph as a prize. I have no idea how they were going to pull that off, because I had never even heard of this person. 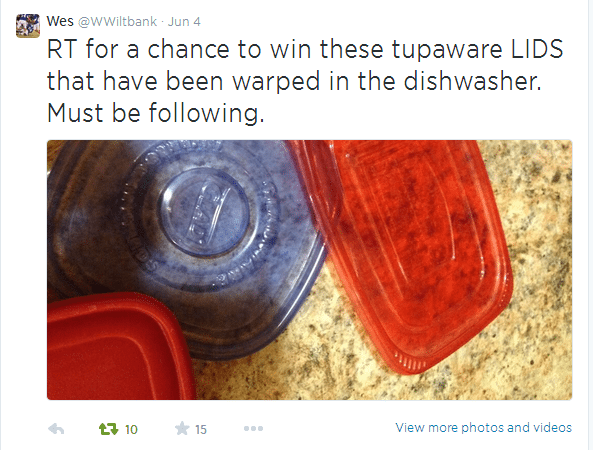 Yes indeed, I won this contest and the fantastic prize of warped “tupaware” lids. Unfortunately, like lots of other contests, I never got anything in the mail. Sometimes they’re fake, but what do I care? I added search terms for tweets like this and had enough bandwidth to retweet every tweet of this kind without going over the rate limit. If you want to see the full list of stuff I won, it’s here. There are a few gems in there I’ve leave it to you to discover. You’ve opened up a world of retweet hell by publicising this. I lost it at “kawaii desu” Skype banner. I assume the answer would be NO, but still I would like to try to request, would you share the script with me? It will help me learn and win some prizes along the way. If not, please guide me/show me the path for how to write such a script so that I could write one on my own. Would it be possible to view the source code of your python script ? Wow, I love the cali pillow! Do you remember where you won that? Three little searchers out there, one hitting the top 1,000 UK brands, one that’s a general ‘gatherer’, and one that goes through my ‘following’ list. It filters out the stuff like ‘RT for a Solo DM with Teen Boy Band’ and all the MTV hottest stuff… then it sends the tweets to a buffer where they get retweeted in a human-like way. I tried to use the streaming API, but that just went insane… the main problem is filtering out the other compers who do manual RTs (when a lot of brands start their competition tweets also with ‘RT to win’)…. I check it daily at the moment and un-retweet stuff I can’t attend or don’t want, goodness knows what will happen when I decide to just “let it loose”… anyway. It’s a fun little thing! We found the same thing with the first iteration of our SAAS product Follogro – we won A LOT of things 🙂 So this article made me smile. And I do think that there is something in this whole charity RT angle – but Twitter’s new laws will ban such work. Wow. 😀 Would be great, if you would highlight greatest, the most epic prizes in the list. 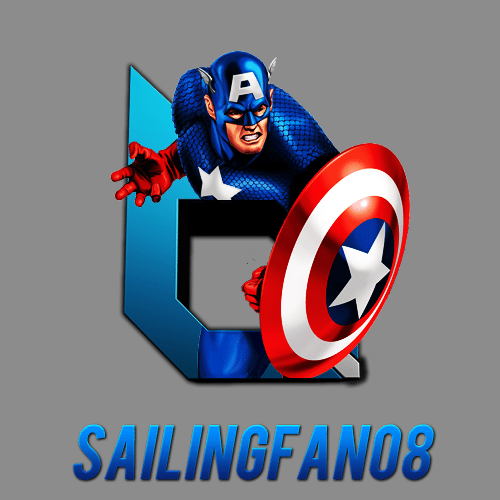 I had created a bot and posted this for everyone who followed me at that time. Anyways, I hope you’re having a good time. Cheers.! Holy smokes, I can’t believe you saw this! Haha I had been wondering about the story behind that. Thanks for commenting, that’s amazing. That’s hilarious because I figured that’s what it was, a bug in the code or test code. Since it replaced $name with your twitter handle after mentioning it previously I assumed it was a bug in an unfinished bot. That confirms it then. I’ve won better prizes doing it the honest way. You are a stinking lousy cheater. any chance you can share what terms you searched for and how often you posted? I’m curious, did he do this using the twitter api and registering the app with twitter, or did he find a way around that. I feel like an official twitter api/registration would be a lot easier to get banned. Is there a tutorial how to code this bot? Love to learn how to do it! Great job! 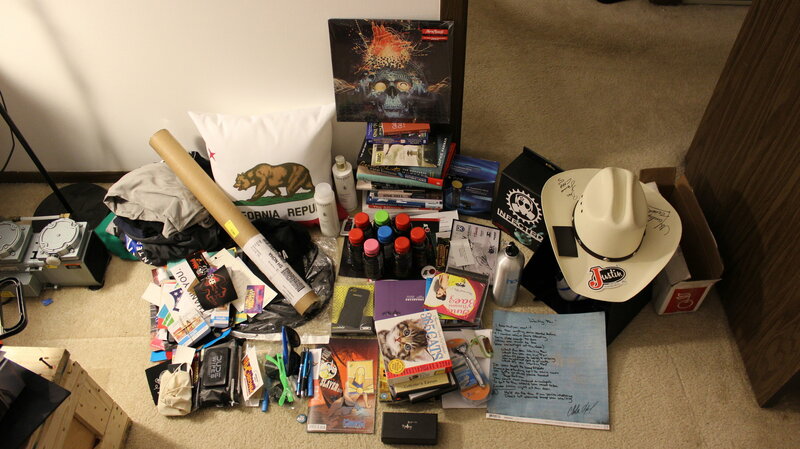 Pingback: Using a Python-Coded Bot, Coder Wins Thousands of Twitter Swag | TAL Group, Inc.
I’d say those Dude Wipes were the most valuable thing in the haul. Every walgreens around Dallas has been out for like six weeks since the Chili Cook-Off. Pingback: This Guy Used a Bot on Twitter to Win 1000 Contests | Reliancy Kenya - Need a Website? Get started today! I wonder how long did it take you to write the script? You have become a celebrity of some sort as you are all over the news. Great initiative, kudo. Yes, all twitter bots need to register with the Twitter API. Loved this story. I have done sweeps and contests with varying intensity at different times in my life, usually after reading a “this guy won 7 cars” story, and I have entered both the ‘old-fashioned’ way pre-social-media and post-social media. I actually prefer the old way, which was directly on websites or by mail. It’s time-consuming, but you also eliminate the dud giveaways and won’t bug your friends, assuming you use your actual account. I won’t enter FB contests anymore. I’ve won a lot of junk — sipper bottles, unneeded “phone cards” — but also have won a tv, a $250 exercise apparatus, a mini Sphinx statue, books, software, $100 gift certificates. Then I went to a local sweeps club where mostly older people share tips and brag about their wins. One couple has won so many cars they must have lost track. They would rattle off dozens of prizes — usually trips — won in the previous month, and even they don’t win as often as you did. For them it’s a hobby they do with their kids. BTW, these aren’t contests, which are things you have to compete for, such as writing the best jingle, whereas sweepstakes or giveaways just require submitting your entry. They are strictly luck and much more common. I also would like to see the code for this. Please link if it’s on github! I know there’s an API and I can write it myself blah blah but why reinvent the wheel. Thanks for the post. You may have inspired me to sweep again! Wow, that’s a lot of contests won, haha. It seems like Twitter could easily be abused for one’s profits. Well written and humorous…How long did it take to write the script? And do you plan on continuing to use it? What a complete waste of time and knowledge. You could have painted a picture of you girlfriend in the meantime. Howdy, I’m teaching myself Python and would like to know if you have posted this script on github? I have an idea for my first project that has a lot of similarities to your twitter bot, thanks! I wish when these bots win, contest hosts would pick someone else. The reason is I have my suspicions people are cheating by making multiple twitter/ bot accounts. Eliminate all of them from winning, and there would be no problem. Also many ppl do the work of manually retweeting, and its kind of unfair to them. you still have the code for steam? 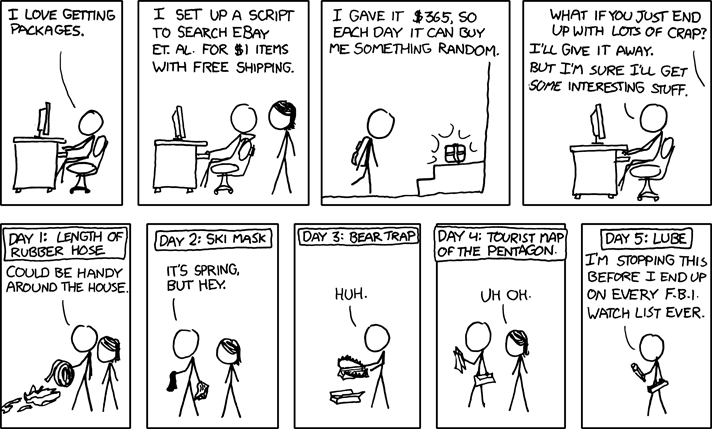 Pingback: US Coder Wins over 1000 Contests in 9 Months — Using a Twitter Bot! Pingback: Knowledge is Power | US Coder Wins over 1000 Contests in 9 Months — Using a Twitter Bot! Great collection you have shown in the pic above. ! Good work. Twitter contests are love.